Fairy are asking parents to embrace every moment with their children. Enjoying cuddles with them whilst they are the softest they will ever be. This made me really think about my beautiful children when they were small. I used to adore those cuddly moments with them, snuggling them close and breathing in their wonderful baby smell. 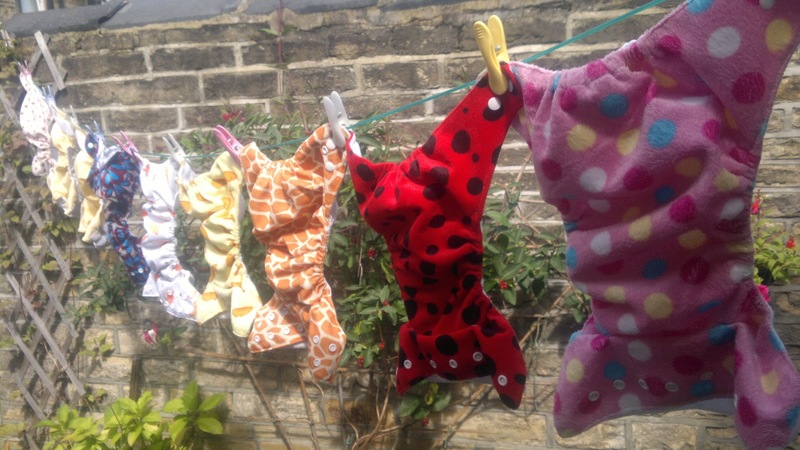 My daughter wore real nappies and I used to love seeing them out on the line, all soft and smelling nice after they had been washed. I took such pleasure hanging them out on the line. I was thinking just the other day about my son, who is now five and in Year One at school. When he was a baby, I remember all the places I had to stop and breastfeed him when we were in the car. Somehow, those moments were really special, and I remember where each one was. He looks so grown up now and has just started going to football and rugby training. Time really does seem to have passed by in a flash. Luckily he still loves cuddles, and I still make the most of them because I know one day he won't want to snuggle up with me any more and that thought makes me so sad! This is my daughter when she was about five months old, having an amazing time painting! Yes, it was fun to clean her and my son after this session, but it was a wonderful memory and we still have the paintings on the wall in our house. My daughter hasn't started school yet, but she is at pre-school four days a week and I miss the time we used to spend together. I don't miss the sleepless nights or the crying at night time (from both of us), but I do miss that baby smell and those tiny little feet. My children are three and five now and sometimes getting a cuddle is like getting blood out of a stone. Last week I looked at my three year old daughter across the room and said to her, "I really love you". "I really hate you mummy" she replied! So I would agree. Take those cuddles whilst you still can. Enjoy those peaceful moments when they are asleep in your arms. Take time to breathe everything in and enjoy those beautifully soft moments. When Fairy asked mums what they missed most about the time when their children were babies, a quarter said it was those super soft kisses and cuddles, 43% said it was their child’s and 28% said it was just the constant background noise. Disclosure: We received some Fairy products and compensation for this post. This had no impact on my post, which is honest and fair.